For jobs that matter, we employ people who care. GT Group is one of the leading companies in the container transport business. We are proudly servicing our clients for more than 30 years throughout Canada and the United States of America. We offer a range of services to the container shipping industry, including transport, repairs, sales and storage supported by solid teams of experienced professionals and a state-of-the-art terminal network systems. Our employees are at the root of our success. If you enjoy a fast-paced and challenging and pleasant work environment, you will enjoy working for us. To provide the best customer experience through our exceptional service and advanced solutions. We deliver excellence by acting with integrity when conducting business and by taking pride in and responsibility for our work and decisions. Working together, we create an atmosphere of mutual respect. We thrive for excellence in servicing some of the world’s leading ocean carriers and freight forwarders. With our modern fleet of over 150 trucks, we are able to offer our customers unprecedented competitive service out of our Terminals in Montreal and Toronto to all points in Canada and the U.S.A.With our state of the art container chassis, we are able to offer our customers higher container payloads, which allow our customers to be more competitive in today’s market.To be able to service all the needs of our customers with one stop, we are also able to offer regular flat bed service and also have drop deck and double drop deck units to be able to service all of our customers over dimensional requirements.We are C-TPAT and PIP Certified to ensure your security requirements.All of our trucks are GPS equipped, which allows us to track your cargo and be able to report back to you in the quickest and most efficient way possible. We understand that time is always the most important commodity that you have, so we have streamlined our rating system, which in most cases will allow us to get back to you within the hour with your important rate. Our goal is to make sure that your experience with GT Intermodal is a pleasant one, and we welcome the opportunity to discuss all your transportation needs. Customers have come to rely on our exceptional customer service. Please visit us and meet our friendly, accurate, and experienced crew. Our customers are thrilled at the high level of service we provide. Make a point of understanding your unique business requirements. Respond to your inquiries promptly and efficiently. GT GROUP mobile units repair and perform preventative maintenance on trailers. GT Intermodal offers competitive rates to fit your needs. Please contact our customer service department to get the quote you require. GT Container Services offers you a great choice in new one trip containers, used and specialized containers. The containers are onsite at our Terminal in Quebec and Ontario for your viewing before purchasing.If required, we can arrange for delivery to any location you need us to go across Canada.For details please refer to our General Terms & Conditions. We would be happy to discuss your requirements by phone or provide you with a cost-free proposal. Simply tell us your exact requirements and we will ensure the 100% fulfillment of all the logistical facets and technical requirements associated with each and every sale. OVER 35 YEARS OF EXPERIENCE IN CONTAINER MODIFICATIONS. Our staff of project supervisors has the technical qualifications and years of onsite service experience to be able to handle all your modification and manufacturing needs. We can alter the length or height of any container and install windows, Air conditioning, extra doors, vents, heating, breaker boxes, lighting, commercial flooring & paneling and much more. We can meet any of your specifications. You are only limited by your imagination. 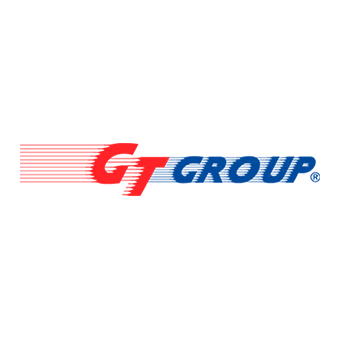 Our Container Repair Division was the founding element of the GT Group. This Division handles the maintenance and repairs of all type of damaged containers. GT Container Services specializes in supplying companies and organizations around the world with new & used containers for shipping and storage. We have available, in stock, the largest inventory of new and used containers for sale in Canada. Whatever the size or grade of container you require we will be able to serve you. This includes 20 ft or 40 ft standard and high cube containers, refrigerated containers and flat racks. Our professionally refurbished Containers are also ideal for portable ground storage. Constructed of sturdy corten steel and hardwood flooring, these containers provide a practical and cost effective alternative for storing your excess product line or special equipment. The result is great savings to companies who would otherwise have to increase plant or warehouse size. Containers are also ideal for transporting equipment or supplies between different sites and locations. Our reliable service is second to none. GT Container Services can have one of our containers, delivered to your site promptly and efficiently. Just call or email one of our container specialists and they will find the solution best suited to your requirements. We are the industry leaders in container modification for over 35 years, converting containers into offices for mines and construction sites, garages, portable schools and houses. Whether you require modular or made to spec our experienced staff of welders, electricians, plumbers and technicians can accommodate your requirements. Our wide range of customers includes international forwarding and shipping companies, importers, exporters, packing, construction, industrial and storage companies as well as public companies, government agencies, military institutions and whole sellers. If you require a container, GT Container Services is your one stop shop. For all your container needs choose GT! Our Montreal-based facilities offer in excess of 300,000 sq ft of warehousing and exterior storage availability. The entire complex, inside and out, is monitored 24 hours a day, 7 days a week via our sophisticated security camera system, are entirely fenced, gated, lit, and guarded. The premises of the warehouses are further protected via fully monitored fire and burglar alarms, and we are C-TPAT Compliant.